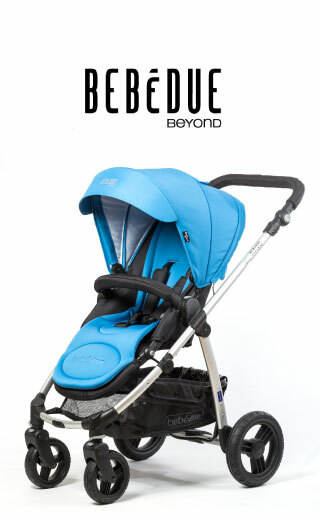 Beyond bebedue it is light, urban, comfortable and safe. The baby can watch everything that happens around them from the angle you consider more appropriate or that best suits your needs thanks to the folding backrest in 3 positions with one hand. It is compact and practical thanks to its folding type book. The adjustable handlebar facilitates grip and slip. Thanks to the frame in three colors and six different colors chair, can create multiple combinations. Reversible, extendable hood with window. Removable zippered garment. Unified brake system. Wide angle of recline, approved for babies from 6 months. 5 safety harness anchor points. Optional accessories: Group 0+, carrycot, maternal bag, mattress, quilts, carrying bag, mosquito net and support for Smartphone.